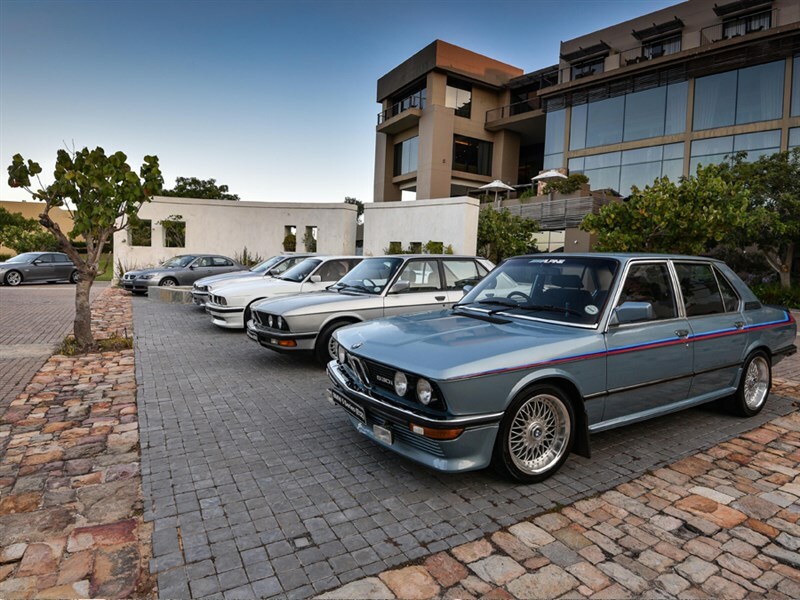 Launched in 1972, there have been 6 generations of BMW's 5 Series "business sedan" and a total sales figure of more than 7,9 million cars worldwide. 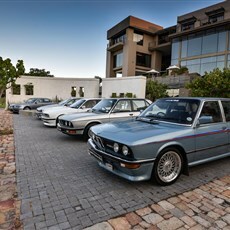 The 7th generation is finally here in SA, and we were lucky enough to be at the launch in George. On display were beautiful examples of all the generations that came before and enabled a great visual comparison while we were briefed on the new range. 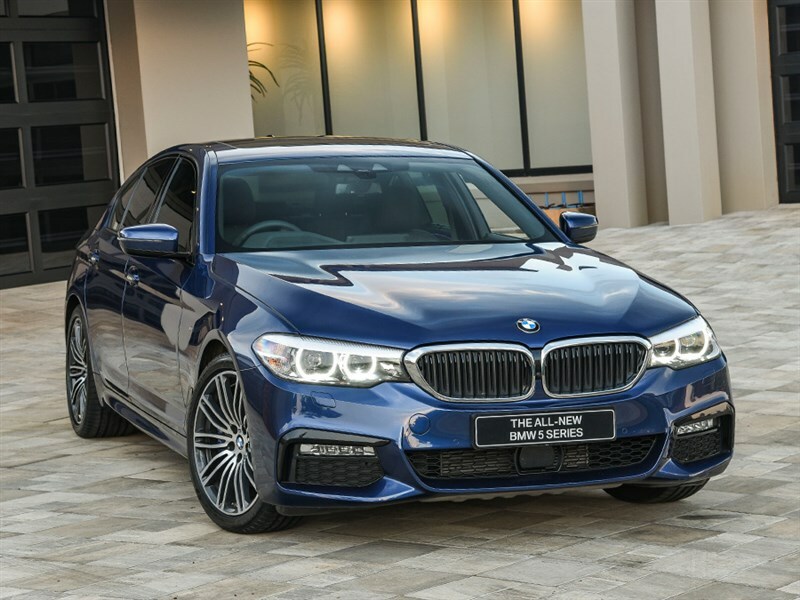 Conceptually the range is aimed at a business market, but for those who still want to feel the sportiness and driving pleasure that the models aim to deliver. Working hard towards delivering this promise, engineers focussed on improvements to add to the model's agility with an all new chassis, making it 130kg leaner. Along with double wishbone front and 5 link rear suspension, the integral active steering adds to the comfort and dynamics in the new models. 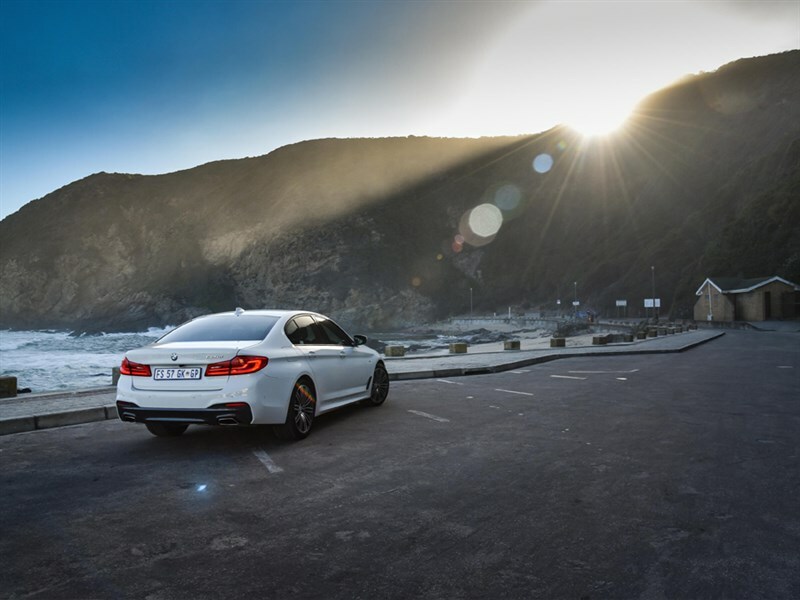 This system works by steering the rear wheels to improve cornering - steering opposite to the front wheels to improve slow speed cornering, and steering parallel to the front wheels at higher speeds. 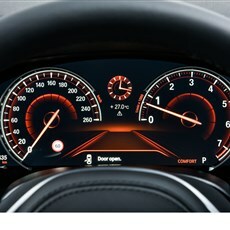 According to BMW, there is a neutral zone, around 60-80kmh, around which sensors on the optional function are activated. On our driving test through the hills near George, it was difficult to assess how this effected the feel of the car - as getting it wrong around the curves of Robinson pass outside George could have led to some dire consequences. 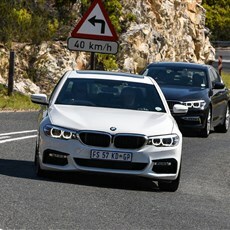 It did, however, feel very smooth and held the curves with ease even under some tight cornering. 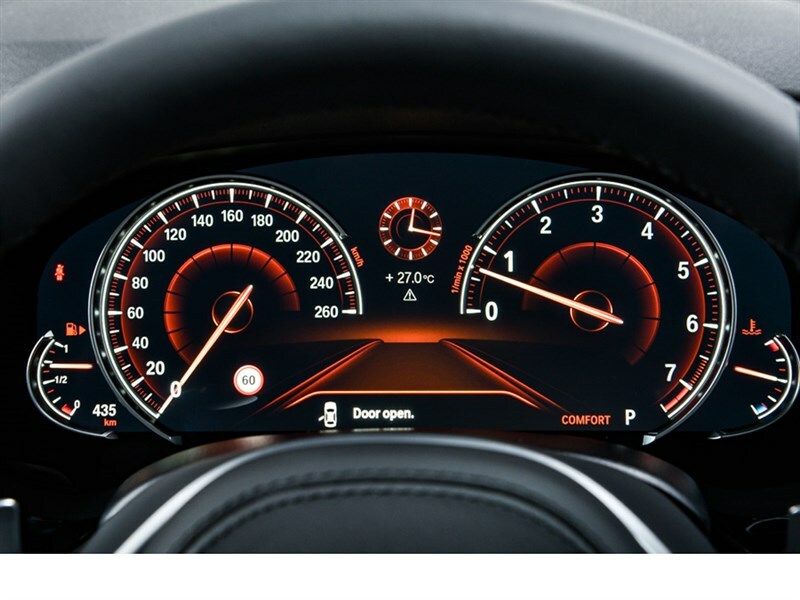 When we receive our test car we will definitely try out the system in a more controlled environment, to see what difference it makes in comparison to driving without it. 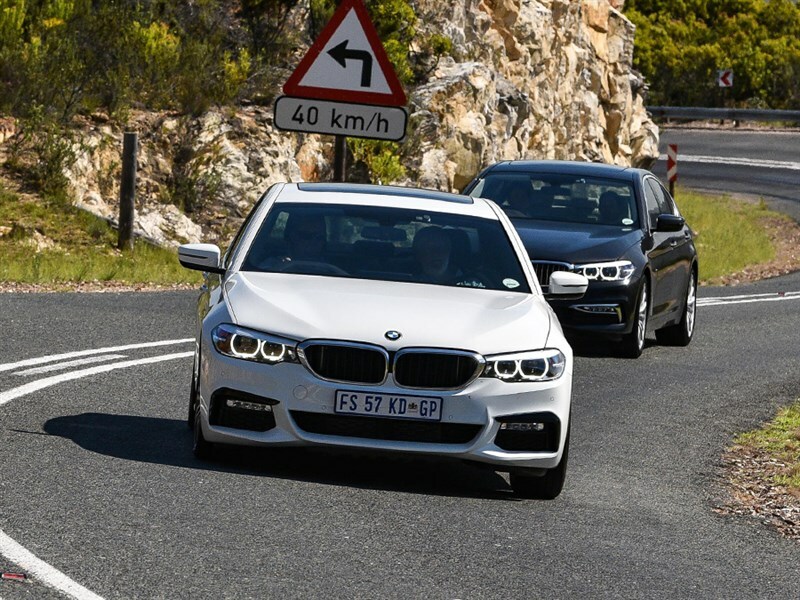 For the range being launched in SA, the flagship will be the 540i, which BMW say has a 10% increase in power, matched by a claimed 11% decrease in fuel consumption. 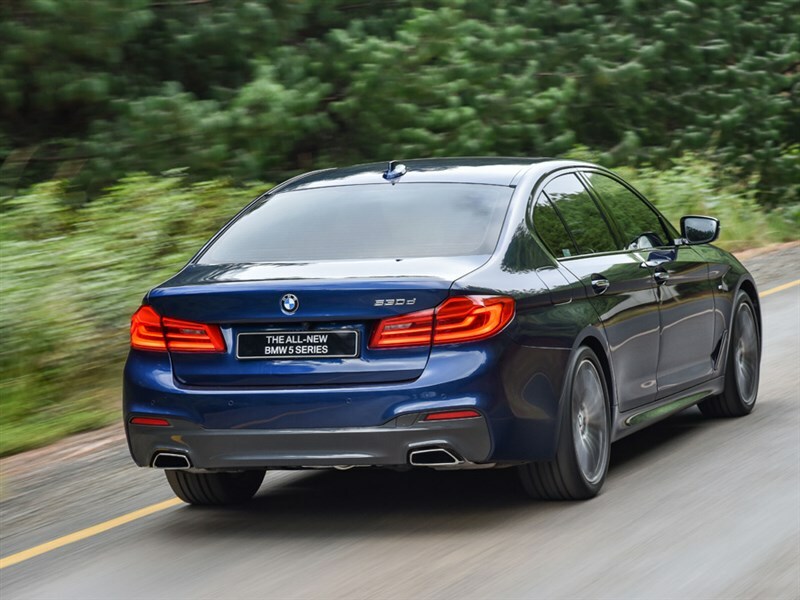 Next down the line is the 530d, which puts out a modest 5kw more than the existing generation, but the claimed fuel consumption figure is down to a very frugal 4.5l/100km. 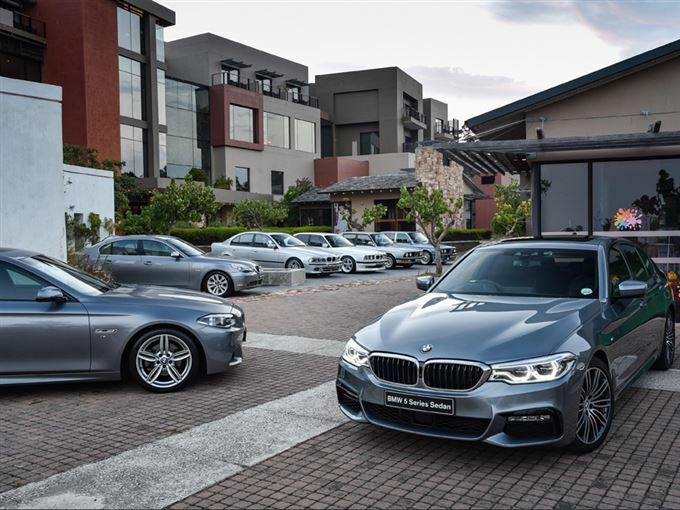 The 530i and 520d round out the initial range going on sale in SA, with possible additions being added as customer demand is assessed. 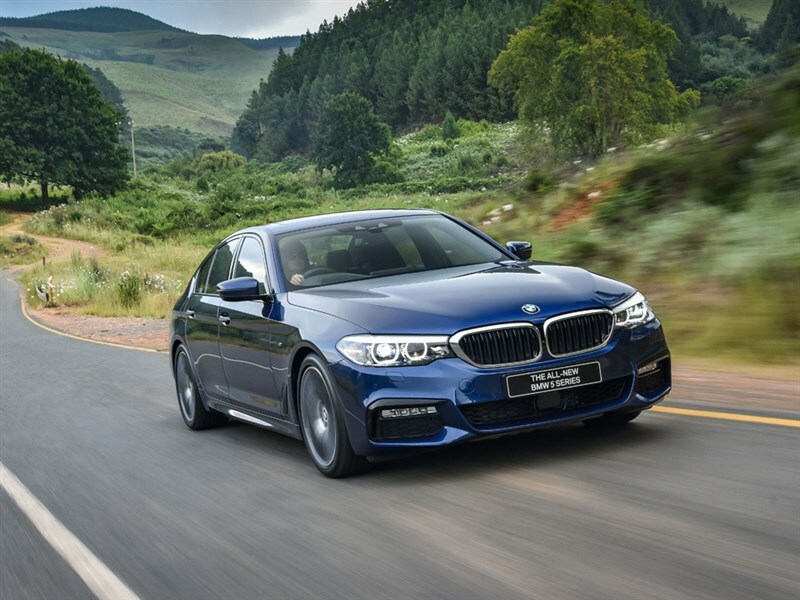 The electric hybrid 530e, hopefully to be in SA by latest 1st quarter of 2018, takes fuel saving to the extreme with a 1.9l /100km consumption figure. 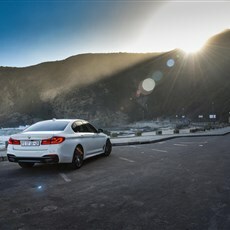 News of the updated M5 was spoken of in hushed tones, so let’s see. 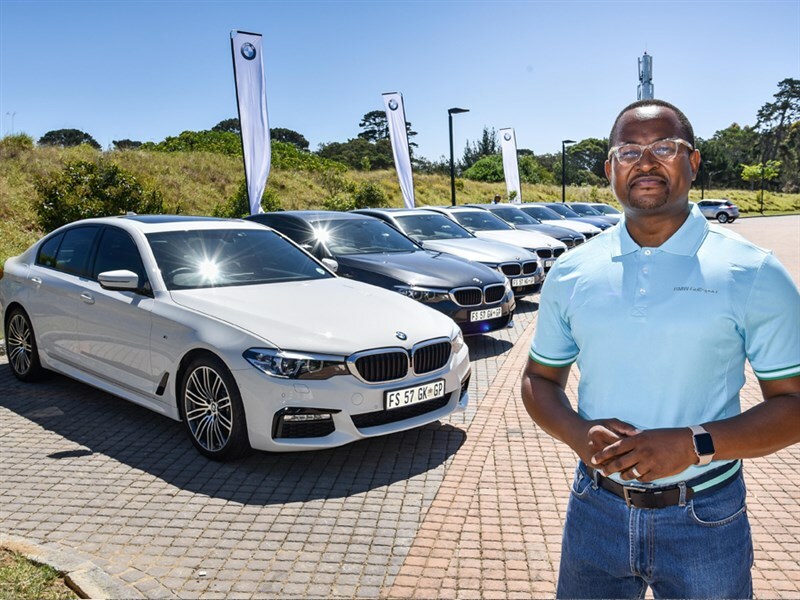 All models coming to SA are going to be 8 speed autos as, according to Edward Makwena, Marketing Manager for BMW SA, our market demand for manuals is not high enough, but certain markets do have manual models in a number of engine derivatives. 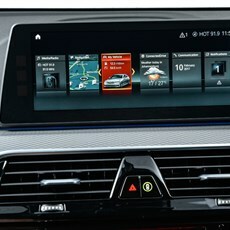 In terms of driver comfort, features such as gesture control, touchscreen interaction, and heads up display are available. 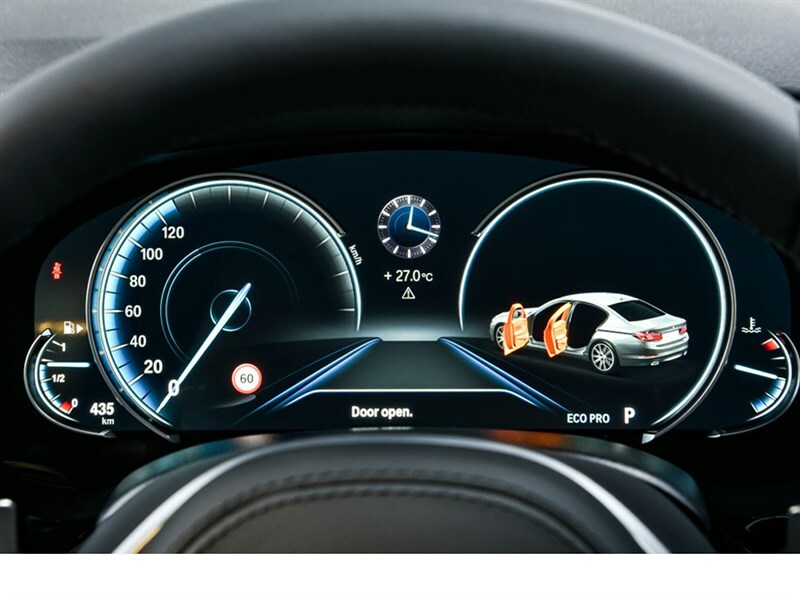 Driver assistance systems such as the personal co-pilot features enable add lane change warnings, lane departure and remote control parking, to bring in a number of semi autonomous features. Using the remote the driver can activate the system which moves the car up to 12 meters back or forward, automatically avoiding contact with any obstacles – and effectively enabling entry and exit where a parking bay is too narrow. 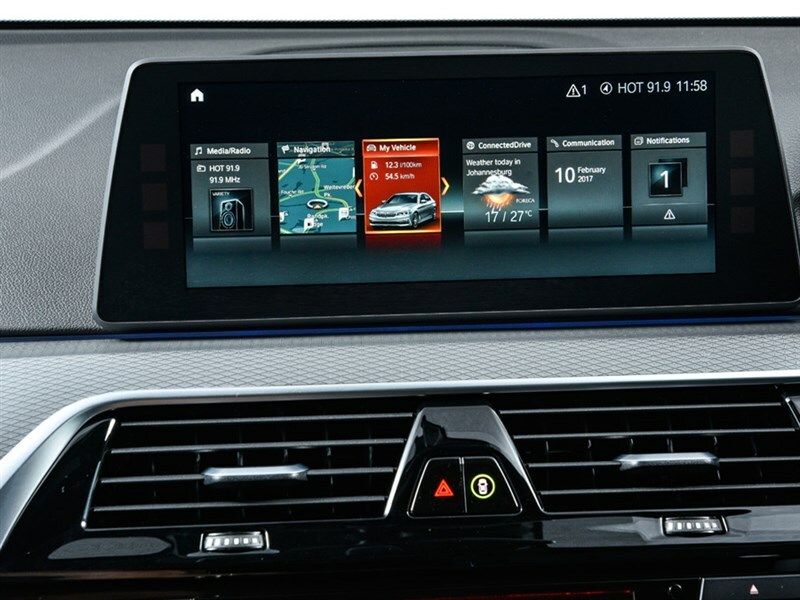 A useful upgrade to the connected drive system is that Mobile devices can integrate into the car's infotainment system now via the mobile app. A good example of this is how navigation and calendars can be utilized to calculate and communicate a departure time for the driver to reach a meeting destination - based on realtime traffic conditions. 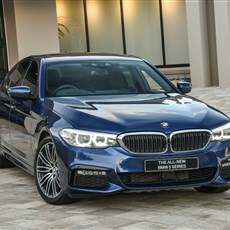 Overall the design is not a huge move away from a clearly successful formula, but the car really does have a bit more of a “serious" look and takes a lot of design cues from the latest 7 series. 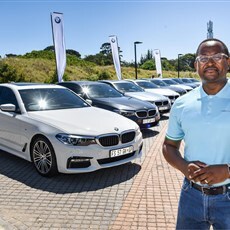 In my opinion, along with the trend in most of the big manufacturers, I feel that BMW might not be creating enough distinction between their models. 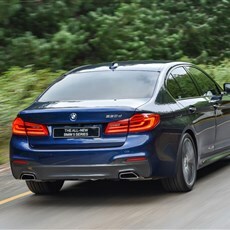 That said, this 5 series is a very good looking car. 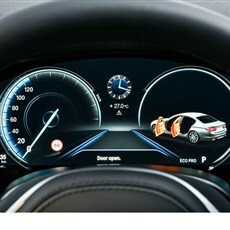 The models we got to drive were mainly in the “sport” specification and really look the part. 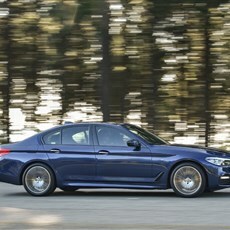 The “luxury” specification was on a 520d derivative and felt more basic, even with the white interior and wood panel look. 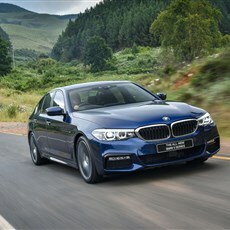 The drive is exactly what you would expect from a car of this pedigree and performance in particular the 530d I tested was fantastic. 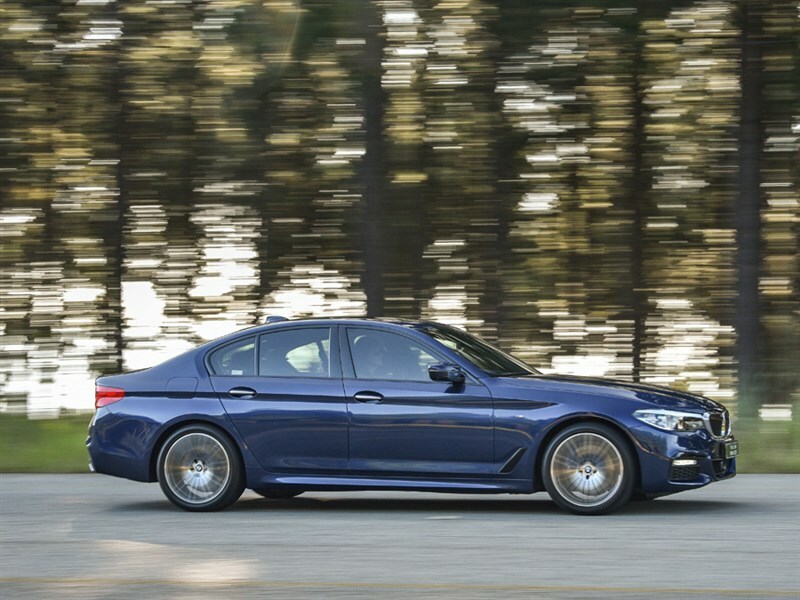 The 520d was no slouch, but for the average 5 series buyer, I believe 530d will be the model of choice with just the right mix of performance vs economy. We will feature another look at this car, and hopefully the pertrol derivatives when we get our grubby paws on it in months to come – see watch this space for more info from a workshop perspective too.